Permit is located at the northern end of the Ferrara thrust belt. Prior exploration in the area has been for Pleistocene & Pliocene biogenic gas (Treisgallo & Sabbioncello Fields are 2 km south). Well Corte Vittoria-1 was drilled to test the Mesozoic section. Twelve 2D seismic lines were acquired from ENI which generated several prospects. 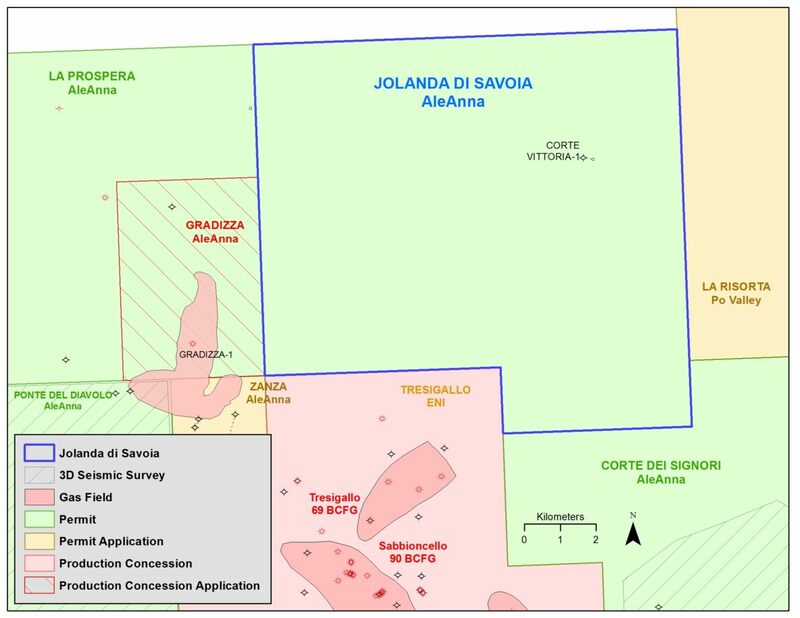 A drilling application has been filed for the Cisi prospect, with the target being Pliocene Porto Corsini sands pinching out on the west side of a high.